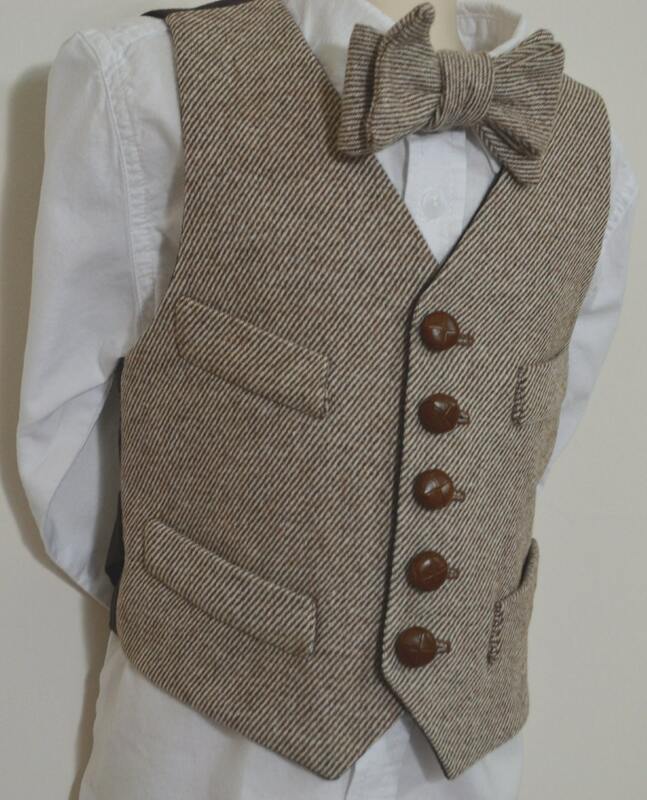 This fine quality wool tweed vest is available in all sizes from toddler to youth. 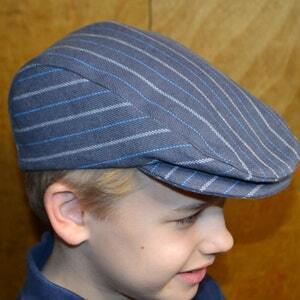 It is made of 100% wool brown and ivory striped twill, and lined in dark brown 100% cotton. 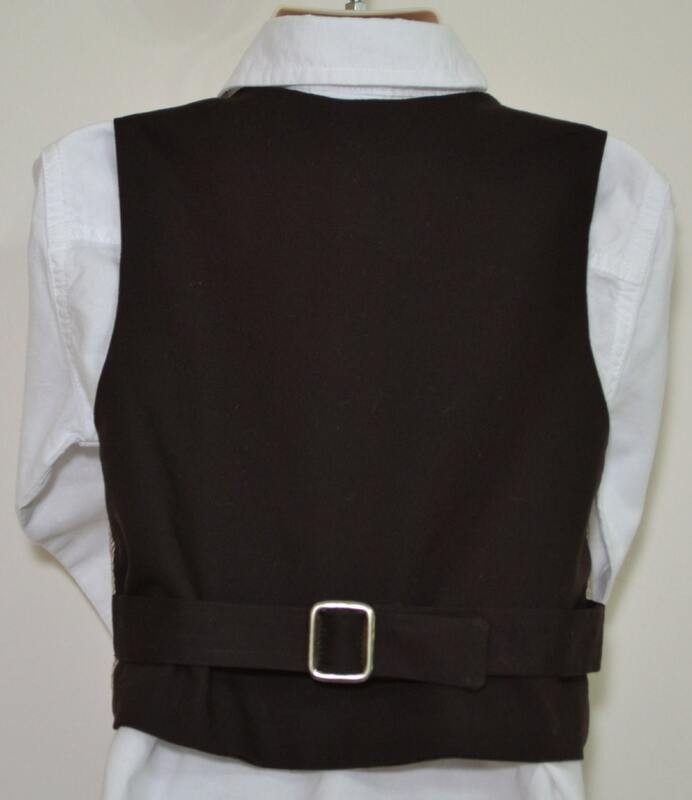 It is designed as a historical period style vest, with 5 natural leather buttons, 4 front welts (non-functional), and a back belt with antique silver buckle. 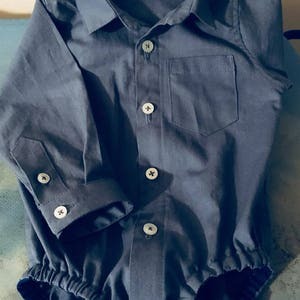 Includes and extra button attached to inside seam. Dry Clean Only. 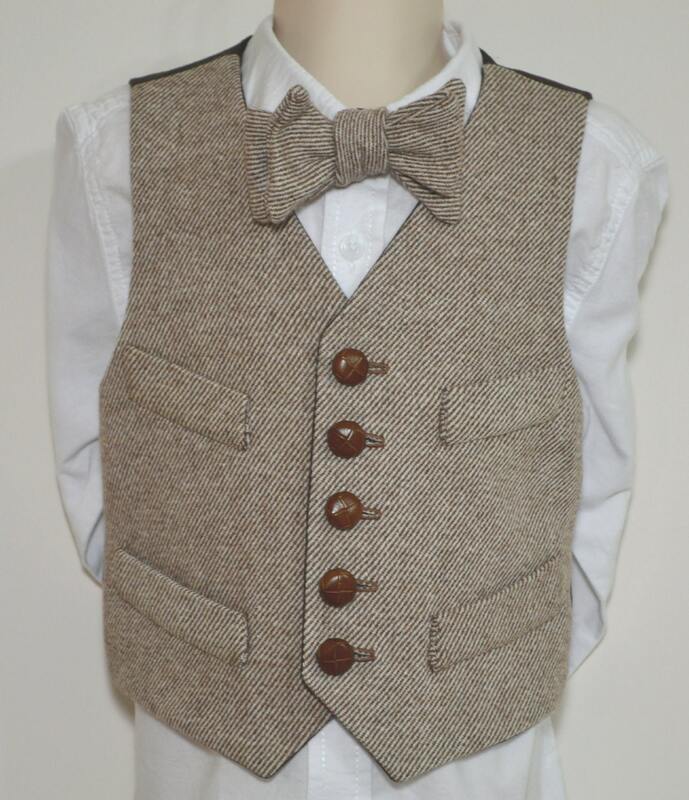 We now offer this very popular vest in black/ecru striped twill as well! 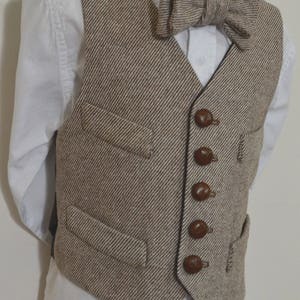 This vest reached considerable popularity when produced by Amy's Top Stitching Co (our former shop name) for weddings and special occasions, and the fabric was sold out. 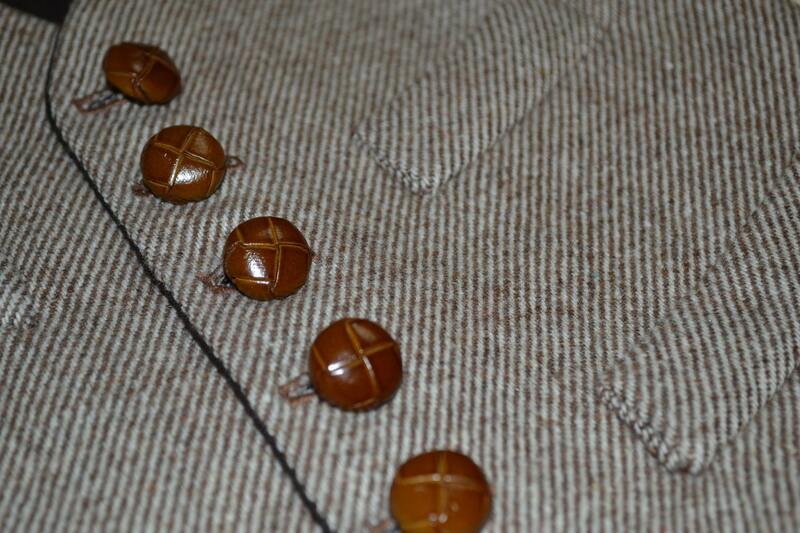 We are so delighted to be offering this product again, and now in 100% wool! 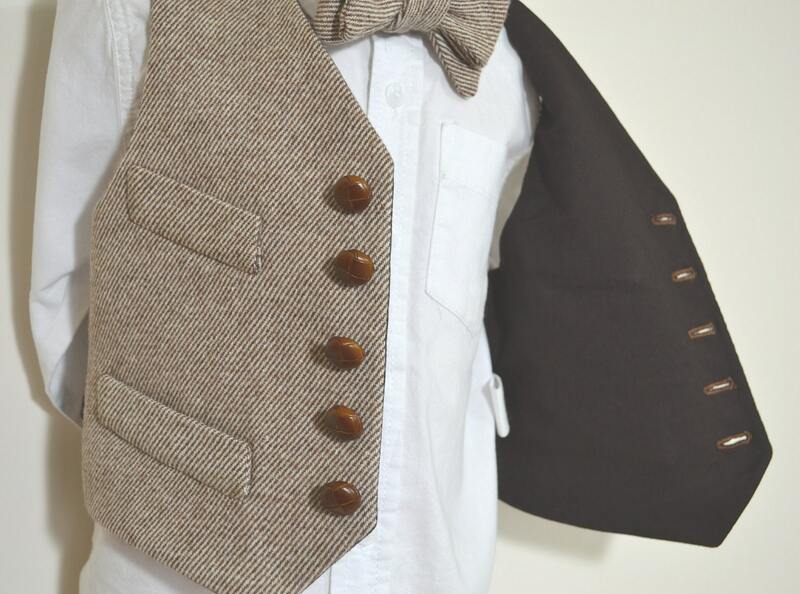 Our bowties are hand crafted and pre-tied to clip on to the collar, and permanently affixed using a proprietary knot which gives the look of an authentic bowtie knot. Spot clean only. Original pattern by Amy's Top Stitching Co. /AC Ashworth & Co. All rights reserved. 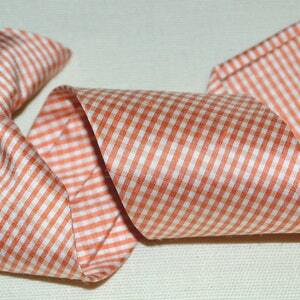 Made in USA of imported fabric, all new materials, in a clean, smoke-free, pet-free workroom.